College coaches are desperately looking for top punting prospects for scholarships. We not only train and develop the best punters…we help them get found! Ray Guy “Punters Only” Advanced Training Camp (Invite Only) is for self-reliant athletes who are serious about punting, goal-driven to earn a scholarship and have the inner drive to learn how to coach themselves. 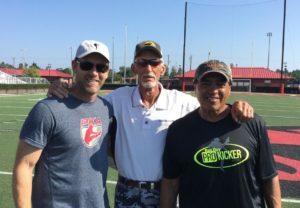 From the moment training begins – with a professional staff led by Ray Guy Prokicker.com Director Rick Sang — athletes will have the opportunity to learn how to start taking charge of their own development and stay ahead of the competition. 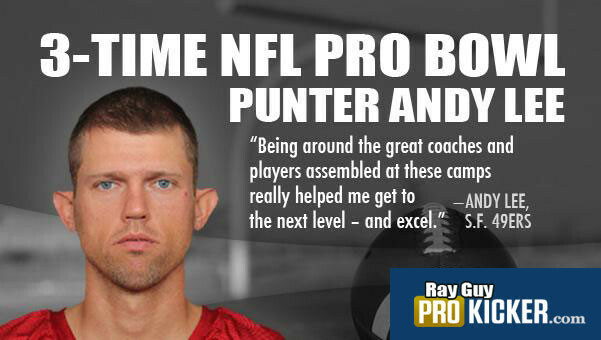 Develop skills with American football’s best punting coaches! 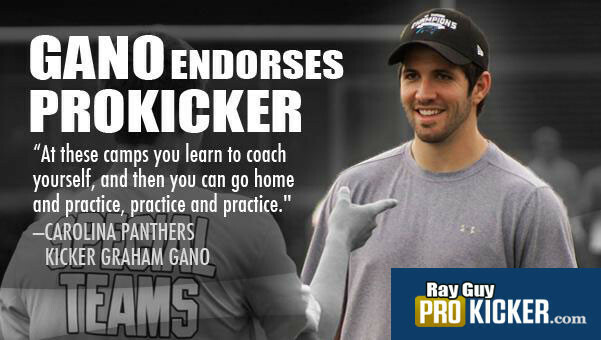 Feature instructors include: NFL punting great and New England Patriots All-Time Team member Rich Camarillo (5-Pro Bowls) along with Nathan Chapman, Director of Prokick Australia – the personal coach of the “Aussie” punters dominating college football – (5-straight Ray Guy Award winners). 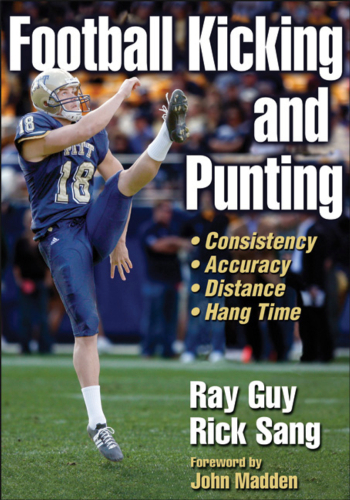 Develop a step-by-step practice “blueprint” of punting drills and fundamentals that translates to peak “game-day” performance. Learn the vital keys that MUST be done to ensure the football is successfully punted — quickly and effectively. 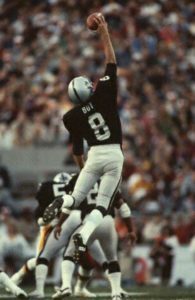 Learn Ray Guy’s secret to great hang time. 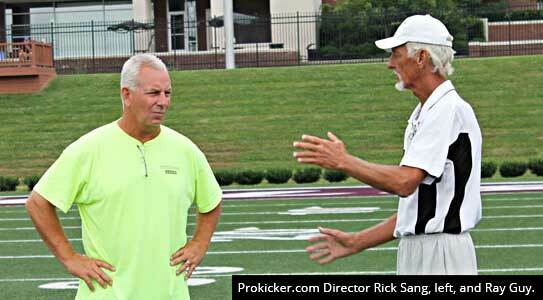 Learn how every punt should be a “directional” punt. Develop skills to punt for the corner, punting out of the end zone, maximizing distance and hang time and much more! Experience slow-motion video analysis for immediate visual learning. Learn specialized warm-ups and conditioning programs to enhance performance & prevent injury. Learn training strategies to maintain elite performance throughout the entire season. 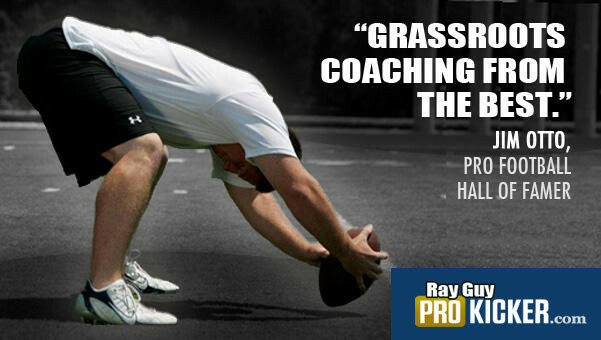 Achieve optimal hand-to-foot “get-off” times and acquire game-ready tempo through “snap-to-punt” training. Learn proven alignment, approach and follow-through techniques that will enhance punting form and develop precision accuracy. Learn to “survive and thrive” in all game and weather conditions. Ray Guy’s leaping, one-handed grab of an errant punt snap in the 1984 Super Bowl game. Guy landed, re-set himself and then launched a 42-yard punt. Develop mental skills and strategies that prepare punters to stay relaxed and ready on the sidelines for “come-through-in-the-clutch” performances. Increase leg acceleration through advanced drills and techniques that will MAXIMIZE POWER and produce explosive distance and hang time. Learn innovative punting techniques and strategies that can dramatically gain field position advantage at any moment in a game. Practice, chart & compete with other talented college punters. Learn by associating with others who share a common goal. Learn fundamental skills of holding and passing the football to maximize your value and contributions to your team! Special session: Develop the skills and strategy for performing “Aussie” drop punts, pooch punts and “rugby style”punts. Thanks to Nathan Chapman and his Prokick Australia program – Aussie’s are dramatically impacting the success of special teams in American football. (NFL: How Aussie punters are taking American football by storm). Day two of the camp includes a 2nd charting and an in-depth review of the individual skills and fundamentals taught on the first day. Innovative drill variations will also be incorporated. Our system works. The success of our alumni dominating NCAA and NFL rosters and record books proves it. 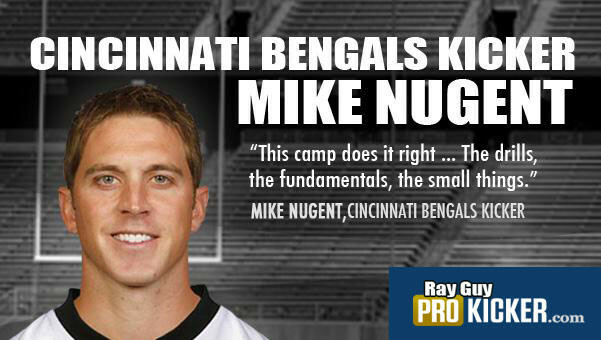 Training for punters is available at every camp location. Australian "Aussie" style punter training is also available. The 2019 summer camp schedule is set for the most trusted instructional camps in the country. 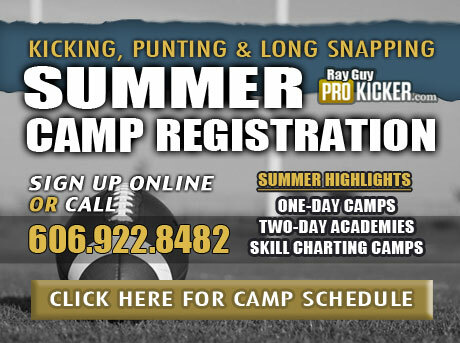 Reserve your spot in any one of our dozens of of camps. Space is limited and early registration is recommended. Call 606.922.8482 for more information. 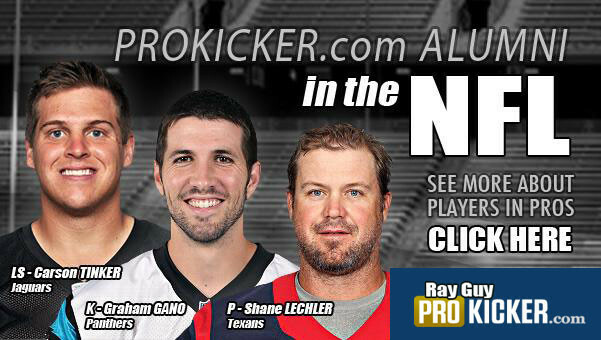 Our alumni are the best punters in the professional ranks, having dominated NFL rosters in recent years. 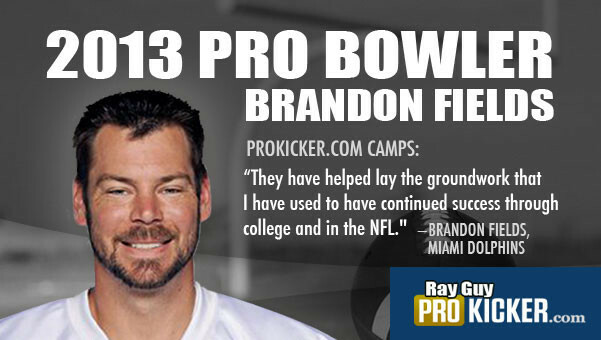 There are currently 12 alumni campers/staff in the league, including former Pro Bowlers Shane Lechler and Andy Lee. Develop a step-by-step practice "blueprint" of punting drills and fundamentals that translates to peak "game-day" performance. Learn the three vital keys that MUST be done to insure the football is successfully punted — quickly and effectively.